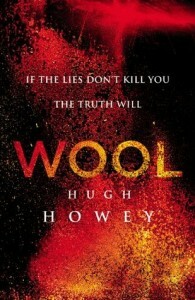 “Wool” is a collection of five connected short stories where the first story establishes a compelling premise and despite occasional missteps the quality remains high throughout the collection. The first thing to grab the attention is the fascinating setting, a society surviving inside an underground bunker, hiding from a poisoned world that will kill anyone who steps outside the door. Although there is some variety between the plotlines in the different stories behind all of them stands the shadow of the ultimate threat in that world, the Cleanings where someone is sent outside to clean the lens of the cameras that allow the inhabitants of the Silo their only glimpse of the devastated outside world, those Cleaners never surviving outside for more than a few minutes. Much of the book focuses on the suspicions that a few people have that there is more to the ritual of the Cleaning than initially meets the eye and it does deliver some of the book’s most memorable moments, particularly the contrasting emotions at the end of the first story. There is a very effective atmosphere of oppression and paranoia throughout the book as Jules, the main character in three of the stories, begins to realise that there is a conspiracy to conceal the truth about her world. There is a series of revelations throughout the book, each revealing a bit more about the world while often also raising new questions to be answered. The Silo is a fantastic setting for a book, in the first story we have little idea of the scale of it but the scope of the book gradually expands as the book goes on with the second story’s journey from the top to the bottom of the Silo offering an intriguing exploration of an isolated society desperately trying to work together to survive. One of the greatest achievements of the world-building is that it makes it seem plausible that a society could survive in such conditions and even prosper. At first it is unclear how this situation came about but as the book goes on some of the characters gradually discover more about their history, some of this history is a bit lacking in detail but I guess it will be explained further in the sequel. For the most part the characterisation is good, although occasionally it is a bit flawed. Most of the book is told from the perspective of four characters, Sheriff Holston, the Mayor Jahns, Jules and Lukas and the first three are compelling protagonists. Jules is the protagonist for most of the last three stories and she is a memorable and well-developed character who is very capable with a variety of skills and a massive amount of determination but still someone who makes mistakes, for example she is initially a bit too naïve about how ruthless the people controlling the Silo could be. The Sheriff and the Mayor in the first two stories don’t get quite as much character development but the author does managed to make them compelling characters in a short time and they do have some of the most poignant and emotional moments in the books. Unfortunately, I didn’t care for Lukas much which is a problem, particularly in the fifth story where he plays a significant role in the plot. He’s not an unrealistic character but neither is he a particularly interesting one to read about and one of the most unconvincing things in the novel was the rushed and underdeveloped romance between him and Jules where it is hard to see what she sees in him or why they feel so strongly about each other when they barely know each other. The true villain of the story is the system by which the Silo is run but Bernard, the Head of I.T. who is as close as the story gets to a personification of the system, is an effective antagonist who is in equal parts pathetic and menacing. There are some good supporting characters, although some of them could have benefited from a bit more development such as Peter, Jules’ deputy, who plays an important role in the plot but is enigmatic for most of the book. One of the things that is often mentioned about the book is that the stories were initially self-published by the author (although the edition I read was after he signed with a traditional publisher). Despite the unconventional route to publication it compares well to traditionally published books, the quality of the writing is generally high. I think this is a strong collection of stories all the way through although perhaps the fifth story is the weakest, relying too heavily on the irritating Lukas and also suffering from previous stories having revealed many of the mysteries. The book has a satisfying ending, but one which sets thing up intriguingly for the sequel.